I believe that my brothers in blue on this site that use their unique position to purchase off roster guns and then take advantage of the ridiculous restrictions that California places on our non-LEO gun-loving patriots to sell them at 2 or 3 times the purchase price are no better than some of the criminals they've put behind bars. Ya'll should be ashamed of yourselves. To those non-LEO gun buyers, I want to apologize. It's unfair that the State has set up this ridiculous system. And it's doubly unfair that some who wear the badge have taken advantage of it. Those of us in Law Enforcement are no better than you, and shouldn't be treated differently. That's why a few got arrested. The Pasadena LT was a tad too greedy. Receiving a 6 figure salary, 6 figures rental income and apparently that wasn't enough money. Thank you, it's unjust that LEOs are allowed "unsafe" handguns creating a privileged class of gun owners that can profit off other underprivileged gun owners... It's not your fault though, CA politicians enjoy creating groups of haves and have nots. You know your off roster firearms are worth a bit more but no more than what the market will bear..
You can see many off roster firearms being sold in the Marketplace this minute and the prices are astronomical. You seem to be on a guilt trip and for you to vilify your fellow LE to satisfy your own guilty conscience is ingenious. You can sell your off rosters for lower costs if you want but mind yourself. Your not speaking for all LE.. Pretty foolish to assume that everyone selling an off roster handgun obtained if with an LE exemption. If that helps you feel better about yourself knock yourself out, but there are plenty of other's who are selling high that have nothing to do with LE. There is a difference between buying an off roster gun with the intent to sell for a profit, and simply deciding to sell a gun at market value. I have sold exactly 1 off roster pistol (after over 2 years of ownership), and profited approximately $300 over what i paid for it new. If I had sold it for any less, I would have been lining the pockets of the savvy buyer who would likely flip it for his own profit. I agree with your sentiments of being ashamed of those who are intentionally profiting from their off roster exemptions. I draw the line, however, at apologizing to the buyers. If they are willing to pay the inflated price, then that is their prerogative. Hardly. Why would I post what I did if I was guilty of the same conduct? You know your off-roster firearms are worth a bit more but no more than what the market will bear.. While technically true, the creation of laws that unfairly benefits LEOs is the only reason for the market discrepancy. I can purchase a Glock 43 for under $400 and immediately turn around and sell it here for over $900 only because there are laws in place that prevent the "common folk" from buying it from a dealer. Again, I've never done it and don't intend to. no guilty conscience here. I'm only vilifying those that are taking advantage of their position to turn a massive profit. If that's not you, then no vilification necessary. I never claimed to be. While I never assumed that, my comment was directed at those that do and they are out there, Its certainly likely that a portion of those selling off roster guns are LEO. We are in a unique position to be able to purchase those guns and flip them for profit. If you are an LEO and you're not participating in this abhorent behavior I commend you. We go thru our careers being tempted on many levels. While the purchasing and reselling, at huge profit, off roster guns is tacitly legal, I believe its morally bankrupt to take advantage of your position to do so. The only thing that makes it possible is that you have a badge. In fact, most of the guys I know won't bother with selling off-roster stuff because of all the scrutiny. A stable career and a pension aren't worth $500. Grim your pretty spot on although not all LEO do this but just about ever PPT done by an Leo to a private citizen that I’ve ever handled the LEO definitely charged them around double what they bought the gun for. Too many "Sheep" willing to buy at a high price are the "problem", that they created. Definitely appreciate the sentiment. I don't usually dabble in off roster guns precisely since they are too rich for me, but I've also seen ads where an LEO tries to offload a gun for what they have into it and not try to make a profit. To those who do that, I salute you. I long for the day when the roster is a thing of the past. Agree! Its 100% a buyers dictated market. If you sell a gun at 20% off what you paid, your buyer will just flip the gun and sell it for $400 more. Pricing it high, but fairly (not just double), is prudent and ensures your buyer actually wants to shoot it. I am mostly directing attention towards people who deliberately buy CDNN's $539 special and then try to sell it for triple. If that's what the op is meaning, I'm all with him. This guy is a good example of using the system. Last edited by Icypu; 04-11-2019 at 8:41 PM.. I see your point and can't disagree with it. The Roster should not exist. How many people have been injured, had an AD, etc. solely due to the fact that the features required by the Roster didn't exist on a handgun? If you follow the gun safety rules, a non-Roster gun is no more dangerous than a Roster listed gun as proven daily in every other state. Every law abiding CA resident should be able to buy any legal handgun they want (to include standard/high capacity magazines) in my opinion. People obeying the laws, are not the people we need to worry about (for the most part). I am guilty of selling an off-Roster handgun for a price that may have been higher than my acquisition price. I am also guilty of selling nice guns, high priced fishing gear, high-end optics and other nice equipment for prices lower than I bought them for. I'm a terrible consumer and always think I need the newest, latest, greatest thing and then many times soon realize the item wasn't really that great or special and decide I should sell it and buy something else. This has happened over the years with a few off Roster guns as well as a lot of other items and when I decide I should sell something I check out the market price and list my items at a price that is hopefully close to what similar items are priced. When I buy, my intention is never to sell, but things change. Something to consider with the concept that LEO should not benefit due to his/her LEO status. Have you ever taken/accepted an LEO discount on anything (food, products, equipment, services, mobile phone bill, etc.) that is not available to Joe citizen who does not have LEO status? I assume you may have sometime in your career. Seems like you can consider the concept somewhat similar in that you are benefiting due to your LEO status. There are also many On-Roster guns, CA approved long guns, etc. 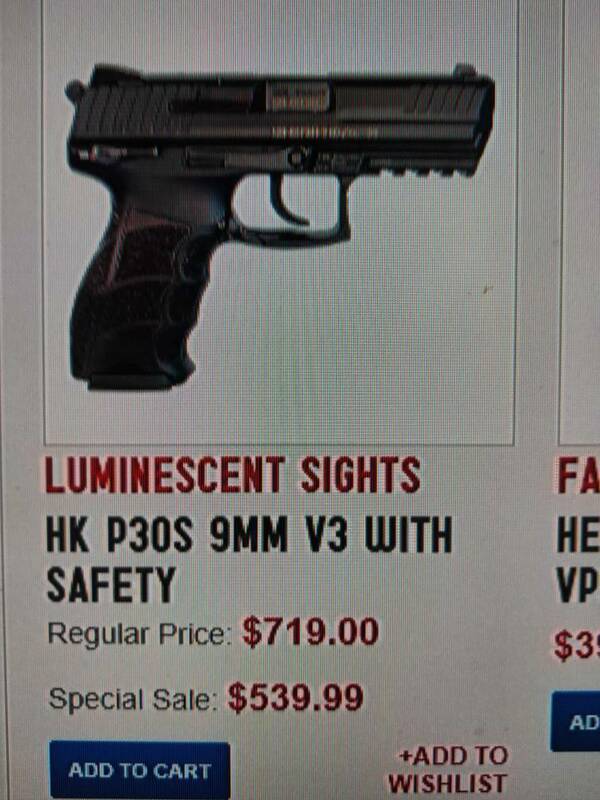 that I could buy with a LEO discount below the cost that Joe Citizen could buy (Blue Label Gen 3 Glock at ProForce, etc.). Sure, it could be a $2 discount on an item, a 5% discount at Turner's, a 20% manufacturer's discount on a high priced optic, etc. but based on your position above (someone benefiting due to LEO status), it seems like we should also be turning down all LEO discounts. Just saying that if we agree with your thoughts on this subject, maybe the concept should be more widely applied to all LEO/First Responder discounts. Should also apply to the "Brass Pass" when it comes to traffic infractions/citations, etc. Last edited by Shumba; 04-11-2019 at 10:06 PM.. I just got a red light ticket. I could’ve easily hit up a bunch of Judges that I know and probably gotten it dropped. Did I? Nope, because I did it, I’m on camera, etc. Just paid the ridiculous $500 fine and traffic school. I am not a LEO in any capacity, but I would like to add a Joe Citizen point if view. There are guns the public would not have access to if it were not for Leo's selling them, even if they sell it at 3 times the price. To me this is no different than someone buying a baseball card at a yard sale for a buck, all the while knowing it is worth hundreds. Big deal, a Cop makes a few extra bucks! Who really cares? Not Joe Citizen who is buying it. No one complains when shots are fired and that same Officer runs TOWARDS the sound of gun fire. A California LEO gets a small perk, I aplaude that. No different than me picking up a check for a couple of officers at lunch. There are measures in place to keep it from being abused, so other than that, I see it as yet another way Officers protect and SERVE. While I can understand how a discount would appear similar, when you dig a little deeper there is a difference. (Yes I have taken discounts when offered in the past, even though now I no longer do) The difference being is that discounts are offered by private companies, which are under no obligation to do so. They receive no benefit from doing it, and there are no consequences for not doing it. They are offered to other public sector "service" jobs like firefighters, EMS, and military. On the other hand, the roster was created solely, in my opinion, to punish gun owners. It serves no useful purpose. Off roster guns sold in every other state in the country don't suddenly become dangerous when sold here. The LEOs that buy those guns and turn massive profits on them are taking advantage of their status and the laws that discriminate against other "classes" of citizens. I'm frankly surprised that no one has made a legal case to either close the "roster loophole" or abolish the roster altogether. That exact battle has been making its way through the Courts for 10 yrs. As a citizens of Ca, I agree with and applaud you. With the caveat that those "very few" cops who do this. Are a tiny part of a percentage point, of the overwhelming number of good cops. In any "class" of people, there will always be some, who are less than honorable. OK with reaping what the open market bears, but this is not an open market. This is DOJ created cluster that subjectively gives those blessed with the "exempt" status access to goodies that we all want but cannot access. OPs point is some of his brethren are using their law enforcement status to screw the peons, and we see it happen a lot. Agree or not, that's my belief/opinion on this jacked up system. Thanks. Also the agent or officer in Santa Fe Springs was too greedy. I believe that legislators promote this two tiered system to divide and conquer in their quest to disarm the citizens of California. It should be strongly refuted by everyone who lives in the State. I thought LE was limited to 6 sale transactions per year like the rest of us. So although they can buy as many guns as they want, I do believe they can legally only have 6 sales transactions per year. That's why the Pasadena LT was busted. If I remember correctly it was during a state review they found he had made over 200 transaction in a year. Anyone making more than 6 sales is considered a dealer by the state. Someone correct me if I am wrong but this was my understanding. If officers can give us an opportunity to get a gun we normally would not have access to so be it. I have no problem with them taking time out of their day to help us out. If you want the gun you pay market value. If you don't then buy one of those available to California. It's supply and demand that drives the price. This applies to everything. An item isn't worth its asking price, it's worth what someone is willing to pay for it. Clearly a lot of folks are willing to pay. I am sure prices reduced as people negotiate better deals, but we don't get to see that. IMHO The CA roster is a defacto infringement on the 2A. Hey, so since his post is here I was wondering if I could ask. Almost triple what the gun is new. Last edited by kiyo21; 04-18-2019 at 6:42 PM..
What your asking sounds like your asking a LEO to straw purchase the firearm for you. If your not allowed to purchase the firearm as it is off roster your only recourse is to look on the sale board or find someone selling the exact model your looking for. You can get the firearm using the special exemptions. Its interesting to read the LE who are profiteers and those that are not. Ah I see, my apologies. I should have looked into the definition of a straw purchase better cause I thought it referred to buying a firearm and just giving it to a person not legally eligible to own one. I didn’t mean to ask for anything illegal. There are a hell of a lot more LEOs who would never take advantage of their "perks" than most here could ever imagine. I don't personally know of any who are so hard up for cash that they'd risk their livelihood to make a couple hundred dollars, and take the time to actually go through all the BS in selling a firearm. Never made any sense to me why some did what they did. I'd never sell a firearm. I use to sell a couple guns a year and always priced them fairly, never a huge mark up. Now I don’t want to deal with it anymore, too many issues. It’s just not worth it, I’ll just leave them in the safe. If I do sell any of my off rosters it would most likely only be to LEO’s. Im a warmonger baby, I got blood in my eyes and I'm looking at you. Was that you who posted the same question a couple days ago? Fortunately no, I wouldn’t make that mistake twice. Your own quote says it all. Buying a firearm giving it to a person not legally eligible to own one..
Ex: Exempt person buying the firearm and selling it to you. You not eligible to purchase it on your own. While I agree that cops should never break the law, nor take advantage of gun sales as described by the OP. However there is a flip side to all this. Why on earth are morons fueling this black market and buying those guns at those outrageous prices to begin with????? Those are the ones fueling the buying and selling in this underground illegal trade. So who’s the real fool here?? It takes two to tango. Yes let's blame the victims of the unconstitutional roster. The market will exist no matter what the overlords decide to ban. Look at the war on drugs. I too am frustrated with price gouging in any form. However I do not see any upside to LE losing their current privilege of buying off roster guns. The roster is the problem. If the roster should cease to exist, then people who have overpaid will still have the gun they value so much and their "cool" status will drop. Then the rest of us will enjoy the freedom of choosing whichever gun we want. When the "cool" status wears off of $400 Glocks most will again appreciate beautifully made artisan pieces.